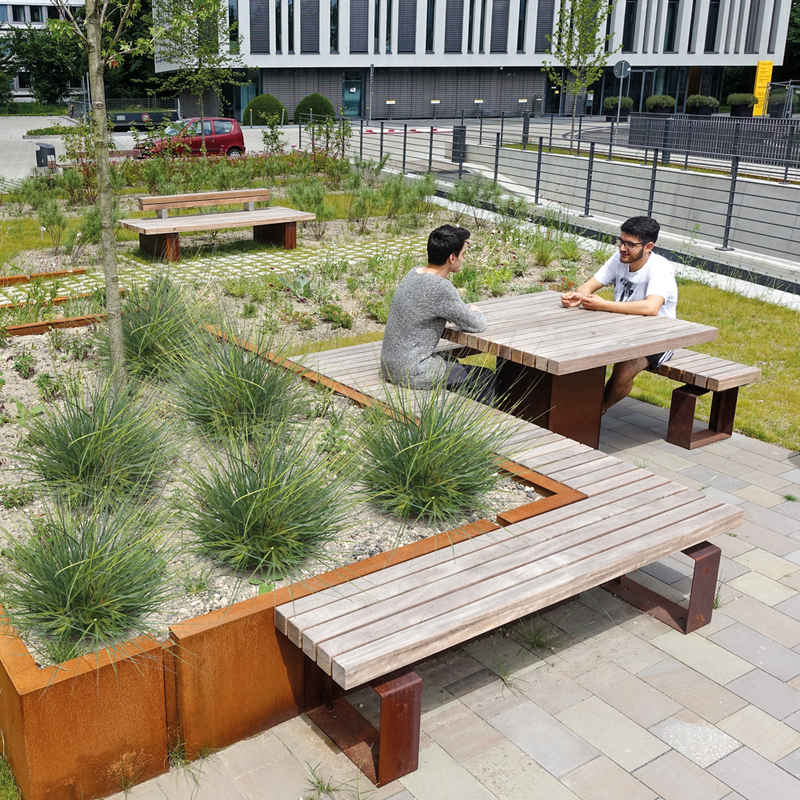 The Solid Meet&Work System consists of various landscaping elements with which playful configurations can be created in public places, on roof terraces and at meeting points. 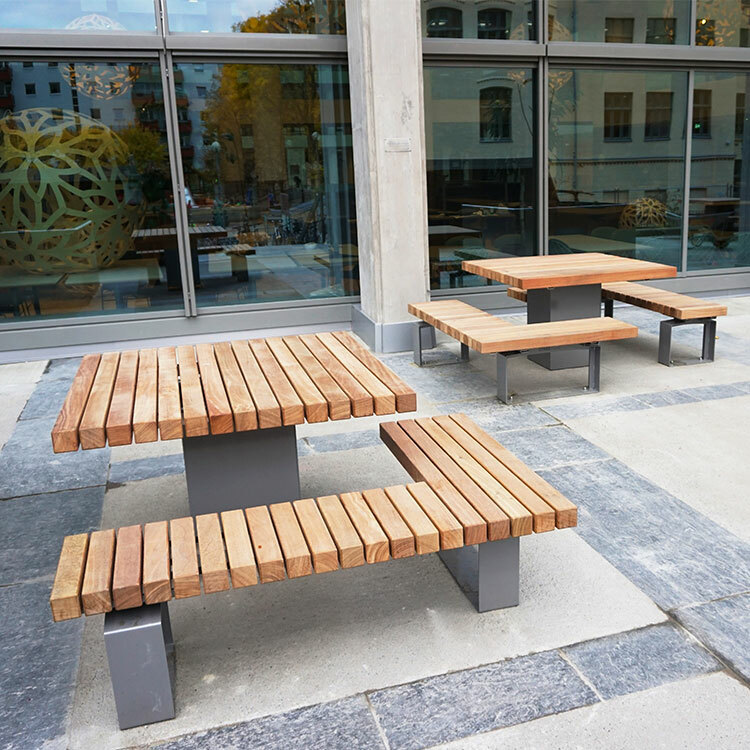 The combinations of benches, tables and tree planters offer innovative alternatives to traditional picnic settings and are ideal for creating attractive recreational areas for both short and longer stays. 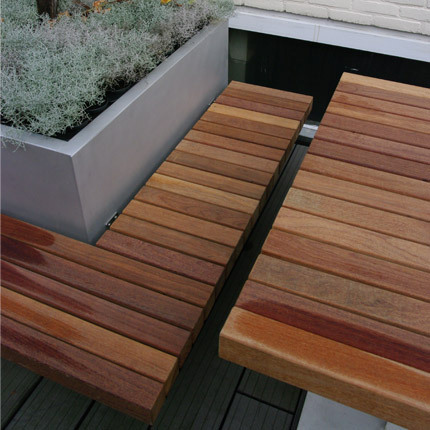 The various elements are made of aluminium with FSC®- 100% hardwood Solid slats (7x7 cm - 2.8”x2.8”). 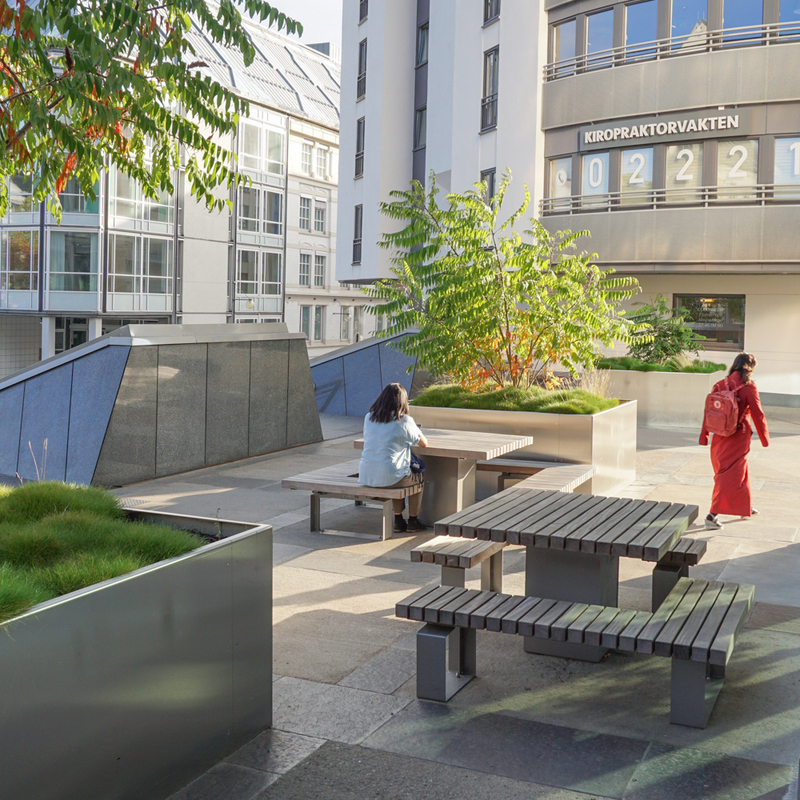 This high-quality system is for example ideal for the outdoor area of a large office complex. Flexible workstations and meeting areas can be combined with sustainable greenery.